HonorHealth, a Scottsdale, Arizona-based health system with over $1.7 billion in annual revenues, recently undertook a process to identify cost savings opportunities across the system. Early on, the joint-replacement service line jumped out as a prime candidate for cost savings. …As hospitals get better at collecting and analyzing data and, importantly, ensuring that financial executives and doctors are talking the same language, the easier these conversations become, Nelson said. Having the right data can be a powerful tool in optimizing supply chain strategies. As this article shows, having accurate data and using it in the right way can lead to incredible cost savings opportunities for hospitals and health systems. If your organization lacks the proper tools to provide powerful data around your supply chain spend, consider systems such as iRISupply which can collect real-time data around supply and implant usage using RFID technology and provide actionable insights to help with vendor negotiations, on-hand inventory levels and owned-consigned mix. A medical supply rep from Maryland was recently charged in the theft of expensive medical kits from area hospitals that he later sold on eBay. Each of the medical kits were sold for approximately $33,000 each, netting the man nearly $200,000. “Burke Slater, 52, of Gaithersburg, was arrested and charged with several felony charges after Fairfax County Police alleged he stole five kits from INOVA Mount Vernon Hospital in Alexandria and two from a hospital in Maryland, which was not named. Slater worked as a vendor of medical supplies and had access to operating rooms, according to police. Fairfax County Police said they launched an investigation after a medical supplier in Florida found some kits on eBay and checked the serial numbers. That showed the equipment was registered to Inova in Alexandria. Police found that seven medical kits, each valued at $33,000, had been stolen. Officials said detectives found six of the kits that had been sold in states including Florida, New Jersey, Pennsylvania and Washington. Police said none of the customers knew the items were stolen when they bought them. The issue, which has been experienced before by many hospitals in the US, continues to highlight the need for hospitals to increase security on their expensive medical supplies and devices. With the possibility of theft very real given the number of individuals with access to medical supplies, hospitals can turn to high-security solutions such as those from Mobile Aspects. These high-security options include locking doors, RFID technology and secure badge access to ensure that only the people that should be touching their expensive supplies are able to. The first quarter of 2018 included 343 medical device recalls by the US Food and Drug Administration (FDA). This was the highest for a first calendar quarter of any year on record and was up 126% from 2017. “Software was the biggest driver of medical device recalls in the first quarter, accounting for 23% of all recalls. Software issues have been the leading factor in device recalls each quarter since the beginning of 2016. Bethany Hills, an attorney at Mintz Levin in New York who chairs the firm’s FDA practice, says the rapid increase is not totally unexpected. Medical device software is becoming increasingly complex, with analytics that provide a higher level of clinical decision support. All told, more than 208 million devices were recalled in the beginning of the year, more than the total number of recalled devices in all of 2017. There doesn’t appear to be one singular reason for the startling uptick, making it difficult to pinpoint an underlying trend. Although it’s possible the first three months of 2018 were an anomaly, and recalls could dip back down to a level more consistent with past quarters, software challenges aren’t likely to recede. Device manufacturers are building more innovative devices with software that requires frequent updates and patches. “[Manufacturers] don’t have this figured out yet and it’s going to continue to be a driver,” Mike Good, vice president of marketing and sales operations at Stericycle, told FierceHealthcare. At the same time, medical device cybersecurity has emerged as a growing concern among industry leaders and lawmakers. Legacy devices are particularly susceptible to attacks, and a recent report from analysts at Symantec indicated a hacker group known as Orangeworm has been launching targeted attacks on the healthcare imaging suites where devices run on outdated operating systems. Although there have been a limited number of cybersecurity recalls—the most notable being a firmware update for Abbott-manufactured cardiac devices last year—regulators appear acutely aware of the issue. Food and Drug Administration Commissioner Scott Gottlieb, M.D., has asked Congress for funding to create a cybersecurity “go-team” that would be housed in a new Center of Excellence on Digital Health. Hills expects the medical device recall trend to continue, particularly now that the FDA is accepting devices with artificial intelligence and more complex clinical decision support algorithms. Although the agency is in the process of updating regulatory guidance, the industry is currently relying on software validation requirements from the early 2000s. Gottlieb has signaled that overhauling the approval process for digital health devices and AI software is one of his top priorities, but manufacturers will still have to balance the time it takes to evaluate the potential hazards of complex software with a potential recall. Minimizing the number of devices recalled from the market requires a joint effort by manufacturers and the FDA to minimize risks prior to approval, but doing so is a “delicate balance,” Hills says. Devices featuring complex algorithms that rely on large data sets may be particularly susceptible to recalls following widespread clinical use. With the increase in medical device recalls only expected to continue to increase, we all must be aware of the role we have as caregivers in making sure that patients are quickly tracked down in the event of a recall. Patients themselves have basically no information available to them to know if implants they received are subject to a recall. The hospital must lead the charge by having access to accurate and timely data regarding recalled medical devices. If performing an analysis like this is a challenge at your hospital, consider a system like such as iRISupply, which provides a simple, user-friendly way to immediately find out the recipients of recalled devices, and also gives you a record of all recalled devices you currently have in stock. The U.S. Food and Drug Administration (FDA) recently released a public alert that warned about the risk of cross-contamination from the use of certain endoscope connectors commonly seen in gastrointestinal endoscopy. The alert primarily points out the risks associated with the use of 24-hour multi-patient use endoscope connectors that are labeled for use with multiple patients over the course of 24 hours without reprocessing. “Endoscope connectors are small accessories used to connect the auxiliary water channel of flexible gastrointestinal endoscopes to a water source and irrigation tubing. To mitigate the risk of cross-contamination and possible infection between patients, the FDA recommends the use of connectors with features that prevent patient fluids from flowing backwards into the endoscope (backflow prevention features). These connectors may be either single-use connectors that are discarded after each patient, or reusable connectors that are reprocessed according to their instructions for use prior to each patient. One manufacturer, Erbe USA Inc., currently markets a 24-hour multi-patient use endoscope connector, called the ERBEFLO port connector. The ERBEFLO port connector does not include a backflow prevention feature. The FDA’s assessment has found that the recommended instructions and device design for the ERBEFLO port connector do not adequately mitigate the risks of cross-contamination for endoscopy patients. 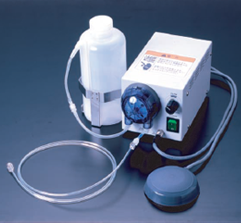 This is because the connector, tubing, and/or water bottle can become contaminated with blood, stool, or other fluids from previous patients that travel back through the endoscope channels into the connector and tubing. Alternative endoscope connectors that are designed according to FDA recommendations are widely available on the U.S. market. These alternatives include backflow prevention features, and may be reprocessed and reused between procedures, or they may be single-use devices. Do not use 24-hour multi-patient use endoscope connectors because they carry a risk of cross-contamination. use reusable endoscope connectors with backflow prevention features, and ensure that those reusable connectors are reprocessed according to their instructions for use prior to each patient procedure. The FDA previously described the recommended testing for endoscope connectors in its November 2016 guidance document, Mitigating the Risk of Cross-Contamination from Valves and Accessories Used for Irrigation Through Flexible Gastrointestinal Endoscopes. The infection risk with endoscopes and connectors continues to be an issue for hospitals. Hospitals must continue to be vigilant in their use of endoscopes and must ensure safety protocols are followed strictly to minimize infection risk. Where strong processes are missing, hospitals must work to ensure the proper people and systems are in place to upgrade processes to the highest standards. Software systems such as iRIScope have been introduced in recent years to help hospitals ensure that each of their flexible endoscopes is reprocessed the proper way each time, and documentation of their reprocessing is kept electronically using advanced RFID technology. Recent research has once again shined the spotlight on the struggle hospitals face to rid their reusable medical endoscopes of dangerous bacteria. In this particular study, published in the American Journal of Infection Control, 71% of “patient-ready” scopes at 3 major US hospitals tested positive for bacteria. “Researchers said the findings at the hospitals, which weren’t named, confirm earlier work showing that these issues aren’t simply confined to duodenoscopes, gastrointestinal devices tied to at least 35 deaths in the U.S. since 2013, including three at UCLA’s Ronald Reagan Medical Center. Scope-related infections also were reported in 2015 at Cedars-Sinai Medical Center in Los Angeles and Pasadena’s Huntington Hospital. 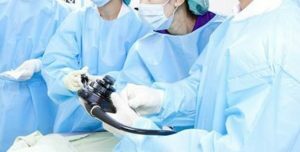 The study’s authors said the intricate design of many endoscopes continues to hinder effective cleaning and those problems are compounded when healthcare workers skip steps or ignore basic protocols in a rush to get scopes ready for the next patient. The study identified issues with colonoscopes, bronchoscopes, ureteroscopes and gastroscopes, among others. The Food and Drug Administration and Olympus Corp., a leading endoscope manufacturer in the U.S. and worldwide, both said they were reviewing the study. Last month, the FDA issued warning letters to Olympus and two other scope makers for failing to conduct real-world studies on whether healthcare facilities can effectively clean and disinfect their duodenoscopes. The FDA ordered the manufacturers to conduct those reviews in 2015 after several scope-related outbreaks in Los Angeles, Seattle and Chicago made national headlines. Last year, researchers visited three hospitals and performed visual examinations and tests to detect fluid and contamination on reusable endoscopes marked ready for use on patients. One hospital met the current guidelines for cleaning and disinfecting scopes, while the other two committed numerous breaches in protocol. Nevertheless, 62% of the disinfected scopes at the top-performing hospital tested positive for bacteria, including potential pathogens. It was even worse at the other two — 85% and 92%. Ofstead and her coauthors recommended moving faster toward sterilization of all medical scopes using gas or chemicals. That would be a step above the current requirements for high-level disinfection, which involves manual scrubbing and automated washing. A shift to sterilization would likely require significant changes in equipment design and major investments by hospitals and clinics. 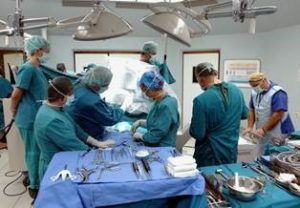 The Joint Commission, which accredits many U.S. hospitals and surgery centers, issued a safety alert last year about disinfection and sterilization of medical devices in response to a growing rate of noncompliance. In 2016, the Joint Commission cited 60% of accredited hospitals for noncompliance, and 74% of all “immediate threat to life” citations from surveyors related to improperly sterilized or disinfected equipment. 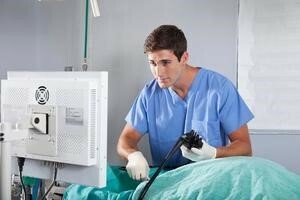 The infection risk with endoscopes across all the major scope manufacturers continues to be an issue for hospitals. Hospitals must continue to be vigilant in their use of endoscopes and must ensure processes are followed strictly to minimize infection risk. Where strong processes are missing, hospitals must work to ensure the proper people and systems are in place to upgrade processes to the highest standards. Software systems such as iRIScope have been introduced in recent years to help hospitals ensure that each of their flexible endoscopes is reprocessed the proper way each time, and documentation of their reprocessing is kept electronically using advanced RFID technology. Due to the nature of how hospitals and health systems acquire supplies, product prices are constantly changing. Different hospitals in the same health system, and even different departments within the same hospital, may be paying different rates for the same items, and those prices are typically in flux. “A simple human error such as failing to update a price change on a distributor website can create confusion and errors, and ultimately lead to delays in completing transactions. Price discrepancies are also expensive, costing healthcare providers alone in excess of $92 million annually to process these exceptions. This price accuracy situation is in diametrical opposition to the supply chain’s opportunity to strip waste and inefficiency out of the system so the industry can remain focused on providing outstanding levels of patient care. 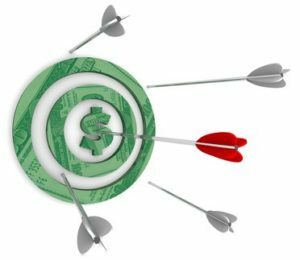 Price accuracy is one of the most labor-intensive and error-prone issues healthcare organizations face. Every player in the healthcare supply chain believes its pricing data represents the truth, but too often, these prices exist in silos. While pricing data from a manufacturer or distributor may reflect a product’s current price, it may not take into consideration a healthcare system’s negotiated contract or specific discounts available. In fact, contract price misalignment is a root cause of many price discrepancy issues. For instance, the majority of hospitals purchase supplies from a distributor. Distributors, in turn, receive pricing information from manufacturers. If a healthcare organization negotiates a purchasing contract directly with a manufacturer, that pricing information typically takes 45 to 60 days to be updated and reflected in the distributor’s pricing. Too many organizations have managed this complex pricing process with outdated manual approaches like fax and email—that’s a sure-fire recipe for miscommunication and delays in contract activations. This results in contracting staff spending hours trying to determine contract start dates and whether a specific organization is entitled to a certain price on a certain date. Multiply that by hundreds of thousands of pages of pricing data, and it’s easy to see the scale of the inefficiencies at the heart of healthcare price accuracy. While there’s no magic genie coming to the rescue to solve the price discrepancy issue, the power of technology is increasingly driving collaboration among a trusted community of manufacturers, distributors, group purchasing organizations and hospitals to enable these trading partners to spot price discrepancy issues early in the purchase order process. Without the right systems and processes for price accuracy in place, hospitals will continue to struggle with the downsides of inaccurate supply prices. Technology and automation may hold the key to better price transparency and accuracy for hospitals looking for a solution for this tricky problem. Best practices to eliminate this issue include implementing software like iRISupply, which can provide a source of truth for all information related to implants and supplies in the procedural areas of a hospital. This system can provide a bridge between materials management, billing and electronic medical record software to coordinate pricing information across disparate systems. A recent survey conducted by Cardinal Health showed that 40% of hospital staff have cancelled a case due to an out-of-stock supply, and 69% of staff have had to delay a case while a missing supply is being tracked down. 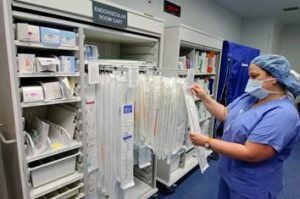 Having spoken to hundreds of staff in operating rooms, cath labs and interventional radiology labs, we have similarly heard many clinicians complain about manual inventory processes leading to supply stock-outs and causing major headaches including cancelled or delayed cases. The survey also revealed that 23% of staff have seen or heard of a patient that was harmed due to a lack of supplies, a sad finding that makes the financial complications of missing supplies pale in contrast. Having stock-outs occur just a few times a week could be costing your hospital dearly. With each minute of delayed OR time costing between $20-$80 depending on case complexity, a relatively busy OR in a 250-bed hospital could be experiencing losses of $25,000-$50,000 annually just from the cost of delayed cases due to missing supplies. 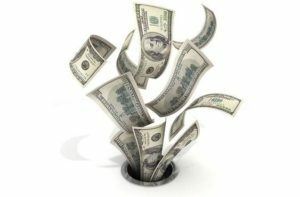 Cancelled cases due to out-of-stock supplies could be costing that same hospital multiple times that amount due to the costs of re-scheduling and the potential of losing a cancelled case to another facility. In addition to the costs of the missing supplies, manual inventory processes also lead to complications with expired inventory. The Cardinal Health survey showed that 27% of staff have seen or heard of expired product being used on a patient due to poor inventory control practices. This comes as no surprise, as we have witnessed the usage of expired inventory at hospitals first-hand. Without the proper processes and vigilance to prevent these “never events” from happening, this will continue to be a risk for hospitals. Without the right systems and processes for supply and implant management in place, hospitals will continue to put their business and their patients’ safety on the line. Most hospital employees have witnessed or heard of delayed or cancelled cases from missing inventory and many have also heard of patient safety issues due poor inventory controls. Best practices to eliminate this risk include implementing systems like iRISupply, which provide all the requisite controls, reports and alerts to allow hospitals to minimize out-of-stock events to prevent delayed or cancelled cases and related patient safety issues without putting additional work on their staff. The U.S. Food and Drug Administration (FDA), Centers for Disease Control and Prevention (CDC) and American Society for Microbiology (ASM), along with other endoscope culturing experts, recently announced the availability of voluntary, standardized protocols that were developed for duodenoscope surveillance sampling and culturing. 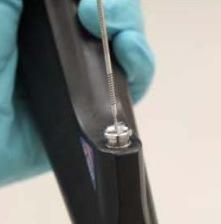 “Hospitals and health care facilities that utilize duodenoscopes can, in addition to meticulously following manufacturer reprocessing instructions, take these additional steps to further reduce the risk of infection and increase the safety of these medical devices. These protocols are an update to the Interim Duodenoscope Surveillance Protocol released by CDC in March 2015. Duodenoscopes are flexible, lighted tubes that are used to treat patients undergoing endoscopic retrograde cholangiopancreatography (ECRP). These procedures often are life-saving and are the least invasive way of draining fluids from pancreatic and biliary ducts blocked by cancerous tumors, gallstones or other conditions. More than 500,000 ERCPs are performed each year in the United States. 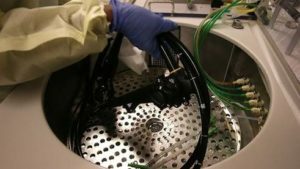 Duodenoscopes undergo a multi-step cleaning and high-level disinfection procedure called reprocessing so that they can be reused between patients. However, the complex design of duodenoscopes makes it difficult to remove contaminants compared to other types of endoscopes. If not thoroughly cleaned and disinfected, tissue or fluid from one patient can remain in a duodenoscope when it is used on a subsequent patient. In rare cases, this can lead to patient-to-patient infection. 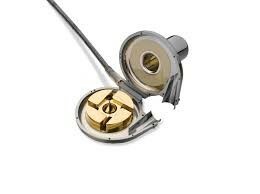 The infection risk with duodenoscopes across all the major scope manufacturers continues to be an issue for hospitals. Hospitals must continue to be vigilant in their use of duodeonscopes and must ensure processes are followed strictly to minimize infection risk. Where strong processes are missing, hospitals must work to ensure the proper people and systems are in place to upgrade processes to the highest standards. Software systems such as iRIScope have been introduced in recent years to help hospitals ensure that each of their flexible endoscopes is reprocessed the proper way each time, and documentation of their reprocessing is kept electronically using advanced RFID technology.